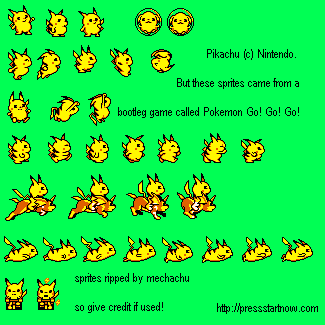 ﻿ The Sprite Cemetery/The People's Sprites: Pikachu: Pokemon GO! GO! GO! Pikachu: Pokemon GO! GO! GO!